Every month, TDS publishes a real-life example of a case faced by the adjudication team. This month’s Adjudication Digest, “What a difference a day makes”, from Michael Morgan, TDS’ Director of Dispute Resolution, is available to download now. In this recent case study, a landlord claimed £245.00 for expenses arising as a result of the tenants leaving the property a day late. The TDS adjudicator details both the landlords and tenants’ arguments to the situation, what evidence was presented on both sides and how the decision was reached on where to award the disputed amount. 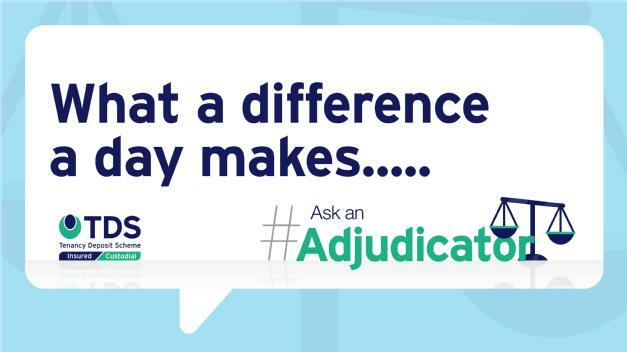 Michael Morgan said: “Our monthly Adjudication Digest reports are a valuable tool for landlords, letting agents and tenants to understand how our alternative dispute resolution system works in practice. As well as publishing blogs on its adjudication and alternative dispute resolution (ADR) operations, TDS also publishes guides and hosts Adjudication Workshops through its Academy programme across the country.